Well, I picked up a 914 over the weekend that is close to my heart, I have to put it back together, but it is a keeper, 76, last year and I'm the 3rd owner. This and my GT clone will be with me for life, but my light weight street/track project may go on the block. I want see, there are no pics, just x's ?? It shows up for me, can you see it yet?? My high school vice principal had one of those in 1974 (my senior year). I don't know what model year his car was, but he let me drive it a couple times and that was a BIG thing. I can't comment on its power because I didn't get a chance to romp on it, but it felt sooooo good going around corners. I'll never forget that feeling. 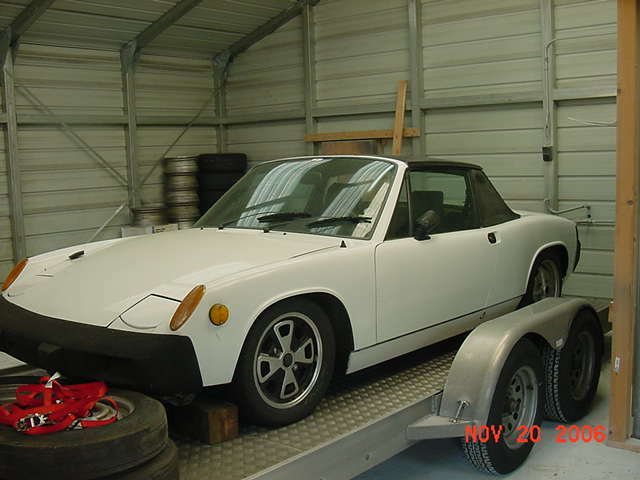 There is a silver 914-6 up for auction at Barret this week. Ill be there. 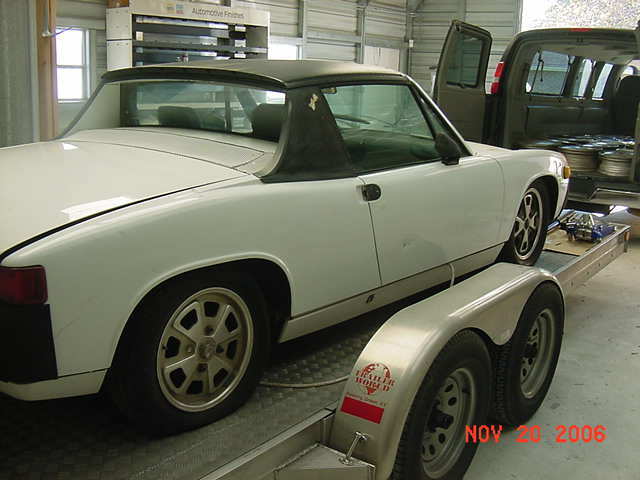 We are still working on my 914-6GT clone, I can't wait to get that on the road!!! 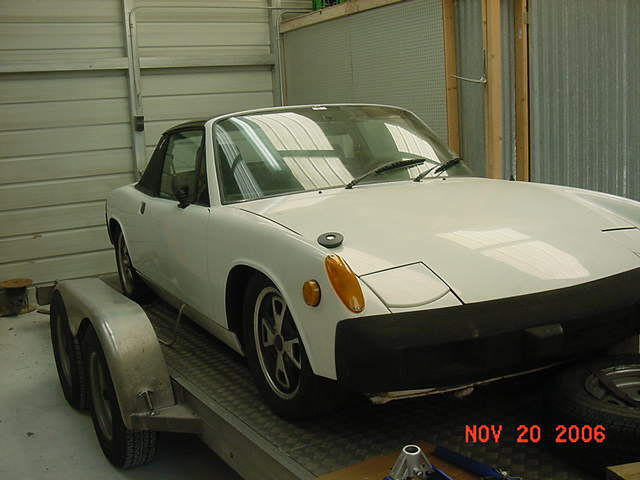 Are you looking for a 914-6?? Not really, but if I can get a good deal on it due to the lack of interest in european cars at the Barrett, Ill pick one up. Looks to be a real solid car Racer. Yeah Luis....had I known back in the day that American Muscle would be worth so damn much I would have stored some away. I dont think many eruo cars see auctions that much...the owners know what they are worth and dont need to auction them. lets see some pics of the GT clone. i love those things. Porsche, does'nt matter which model, they are all awesome. Check out the other thread I started here on it!! I just picked up a 76 914 myself. It has a 2.5L . Very nice shape, cali car. Many nice upgrades from prev owner. Will try to post a few pics later..